Lily Mars is a playwright, librettist, lyricist and mystery writer. Ernest Schier, and legendary actor Morris Carnovsky. Having spent most of her adult life in New York, she currently resides with her husband, marketing professor and award-winning author Thomas Marshall, in the part of Switzerland where they speak French. 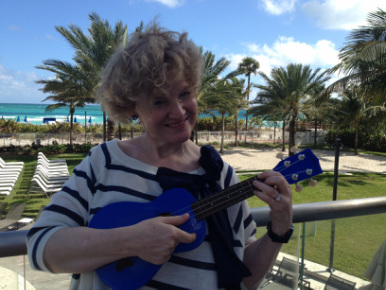 Here she knits, writes, plays the ukulele and learns French, not necessarily in that order. Lily Mars has a new ukulele!